My great-great grandmother, Lucinda Dunham Freeman, was having another baby in 1850. Lucinda had followed her husband, the Rev. Azel Freeman, from small town to small town throughout the Ohio Valley for almost five years, setting up housekeeping and then packing it back up. Now they were in Paducah, KY, and she was expecting again, at the age of 28. Her first born, Charles, was just a year old. So now, she was making a new quilt for her new baby. 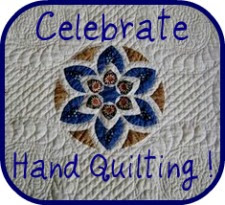 She chose the quilt block named for President Harrison. 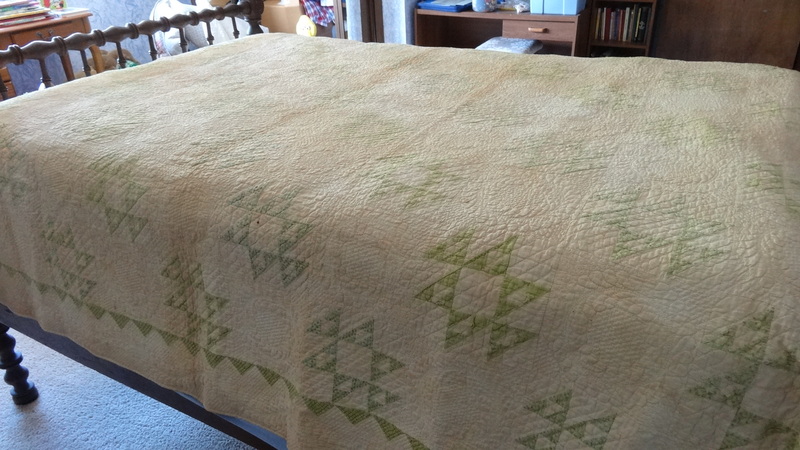 And she used overdyed, green solid material for her tiny triangles. So, there is a written note that has been passed down along with this quilt that contains this story: ” Finished quilt September 25, 1850, the night William Prescott Freeman was born.” William Prescott was my great grandfather; his son, Azel Thomas Freeman, was the father of my dad, Dell William Freeman. My son carries on the family name – Andrew Azel Farley. The feather border is known as a Durham Running Feather. 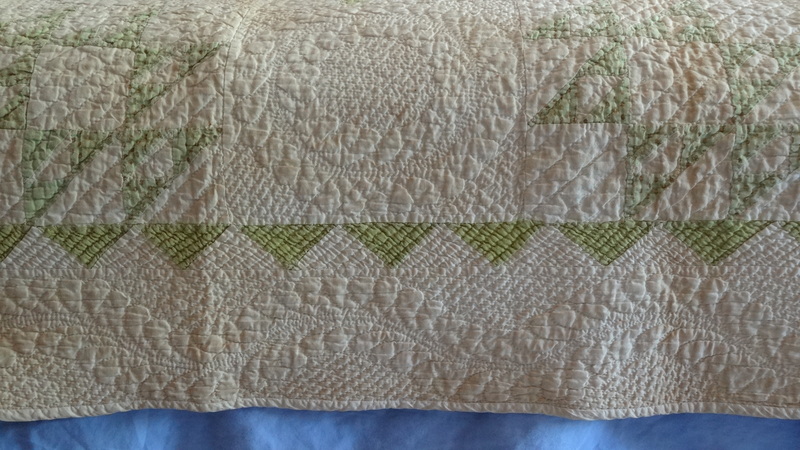 The whole quilt was referred to as a Harrison quilt. 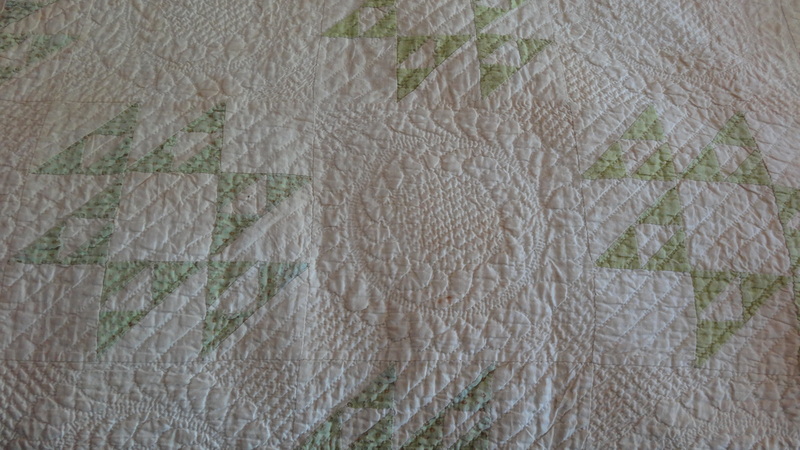 Barbara Brackman’s blog on Civil War quilts featured the process of overdyed green solid fabric from this period of American history here. I wish I had a picture of Lucinda. I have looked through some of the family archives but one hasn’t surfaced yet. 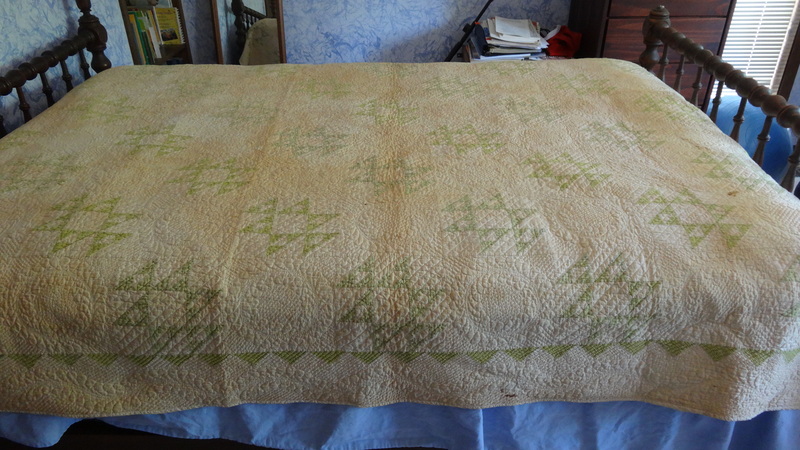 The quilt is showing it’s age and I hope to make a reproduction of it in the near future. 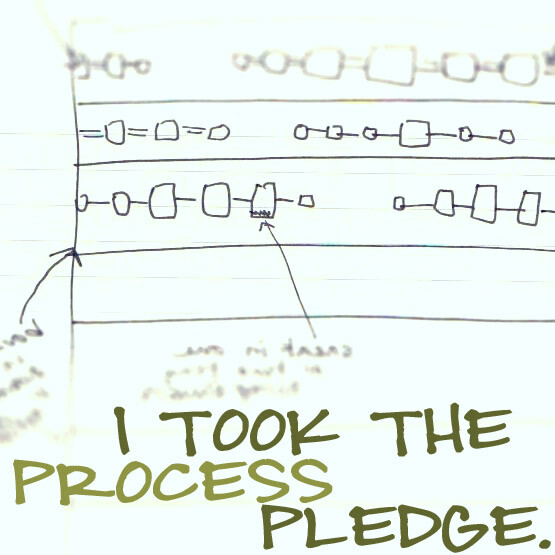 Your beautiful quilt is indeed a legacy. 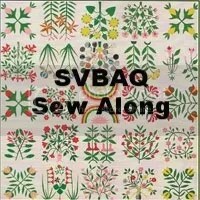 I enjoy reading about your family’s history and how the quilts played an important part of the story. Thank you! I added a bit more to this post. Beautiful and the story even made it more interesting – thanks for sharing. Glad you enjoyed it, Mary! I added a bit more to this post.